While much scholarship has focused on the role of gangs in Salvadoran unrest, Wade draws on an exhaustive range of sources to demonstrate how day-to-day violence is inextricable from the economic and political dimensions. In this in-depth analysis of postwar politics in El Salvador, she highlights the local actors’ primary role in peacebuilding and demonstrates the political advantage an incumbent party ― in this case, the Nationalist Republican Alliance (ARENA) ― has throughout the peace process and the consequences of this to the quality of peace that results. Those who study El Salvador closely recognize more deeply the limitations of the peace accords in transforming its politics, economics, and society. This book does a fabulous job explaining how the peace accords failed in several important ways primarily because of the intransigence of local elitesChristine Wade has produced the most comprehensive, up-to-date book on Salvadoran politics of the last twenty-five years. 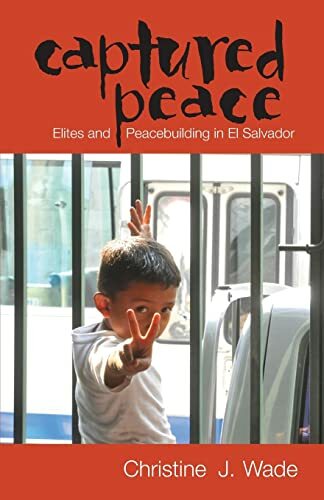 Michael E. Allison, associate professor of political science, University of Scranton"
There is no other book like this on the marketIt would not surprise me if, after reading this book, scholars working on postwar El Salvador adopted the phrase captured peace to refer to the period. Hector Lindo-Fuentes, professor of history and Latin American studies, Fordham University"